Personal info is important in your daily life. 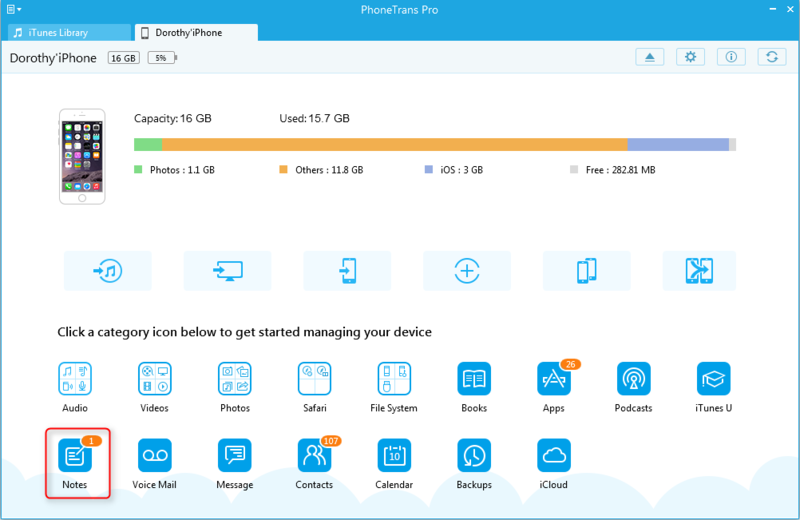 PhoneTrans Pro makes it simpler to move notes to computer. Please refer to the tutorial below to start transferring notes to computer. Step 1: Launch PhoneTrans Pro after connecting your iPhone to the computer. 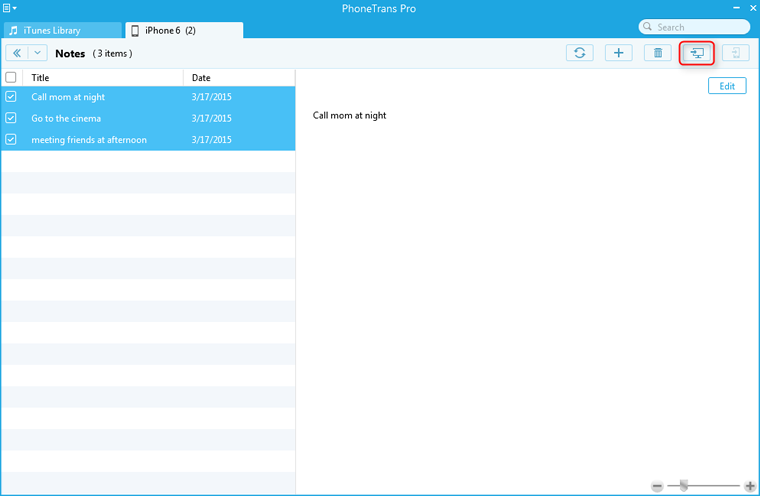 On the main interface of PhoneTrans Pro, click “Notes”. Step 2: Please review the messages on your computer and select the notes you want to transfer. Then, please click button on the top-right of this window.